Manufactured from certified billet steel, these flywheels will not break under the stress of high RPM or the punishment of racing. Varying from 25 to 50 pounds based on application, most Hays flywheels are drilled with both the Borg & Beck and Long clutch patterns. All are precision-balanced to either Detroit (external) or neutral (internal) specifications (1.1 SFI-certified). Machined from 7075 T-6 forged billet aluminum, these flywheels weigh 11, 14, or 15 pounds and are popular among many road racers and drag racers running light cars with large motors. The high-strength alloy surpasses material specs regarding strength and centrifugal distortion. All feature a replaceable steel or bronze heat shield and are drilled to accept either the Borg & Beck or Long clutch pattern. Ring gears are securely mounted with welded tabs riveted to flywheels to prevent spinning. Balanced to Detroit (external) or neutral (internal) specifications (1.1 SFI-certified). 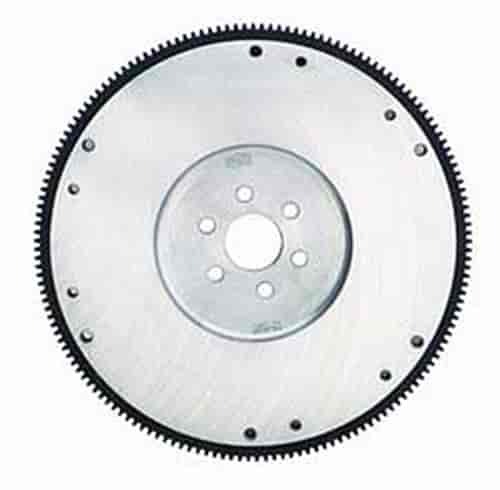 Available steel or aluminum based on application, these flywheels are designed for engines adapted to marine use and machined to the same standards as other Hays flywheels. For JEGS part numbers, add 490- to the beginning of Hays part numbers. Click chart to enlarge. Does Hays 12-535 fit your vehicle?